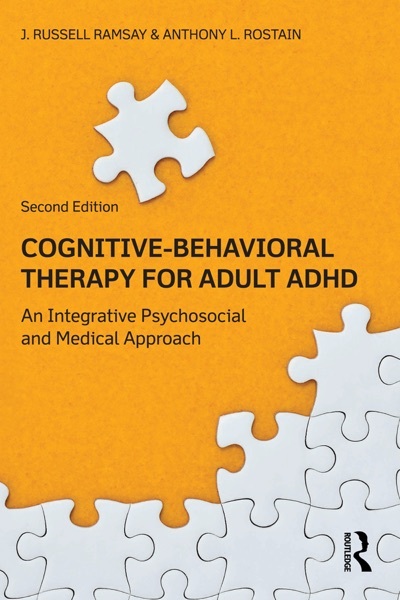 Cognitive Behavioral Therapy for Adult ADHD: An Integrative Psychosocial and Medical Approach has been revised, updated, and expanded for this second edition and remains the definitive book for clinicians seeking to treat adults with ADHD. Clinicians will continue to benefit from the presentation of an evidence-supported treatment approach for adults with ADHD that combines cognitive behavioral therapy and pharmacotherapy adapted for this challenging clinical population. The updated edition of the book offers new and expanded case examples, and the authors emphasize more detailed, clinician-friendly “how to” instructions for the delivery of specific interventions for adult patients with ADHD. Understanding that most adults with ADHD say, “I know exactly what I need to do, but I just cannot make myself do it,” the book pays special attention to the use of implementation strategies to help patients carry out the necessary coping skills to achieve improvements in functioning and well-being in their daily lives. In addition to providing an outline of their treatment approach, Drs. Ramsay and Rostain provide an up-to-date review of the current scientific understanding of the etiology, developmental course, and life outcomes of adults with ADHD as well as the components of an thorough diagnostic evaluation. As an added clinical resource, Drs. Ramsay and Rostain have also produced a companion patient handbook written for adults with ADHD, The Adult ADHD Tool Kit: Using CBT to Facilitate Coping Inside and Out, which clinicians can use with their patients. ADHD, Adult, Behavioral, Cognitive, Therapy permalink.